African Music and Dance in the US: Kizomba & Seattle @ Stephanie Maher’s‘s Humanities of Africa Undergraduate course, College of Humanities and Social Sciences, Western Washington University, Bellingham, 18 February 2016. Use of Mobile Devices in Public Access to ICTs in Latin America: Preliminary Results from a survey in Latin America, @ Change Group, CSE, University of Washington, Seattle, WA, 9 February 2016. Perceptions of ICTs and Public Access:a research path @ Maria Garrido‘s , Graduate course COM 597 Social Spaces and Technology Tools: Dynamics of Community Organization and Participation of the Communication Leadership Curriculum, Department of Communication, University of Washington, Seattle, 20 January 2016. Use of Mobile Devices in Public Access to ICTs in Latin America, @ iSchool Research Conversation, University of Washington, Seattle, WA, 30 November 2015. Value-Sensitive Design, @ Ricardo Gomez’s Research Methods Master of Library and Information Science course (LIS 570 A and LIS 570 B), University of Washington, Seattle, WA, 30 November and 1 December 2015. 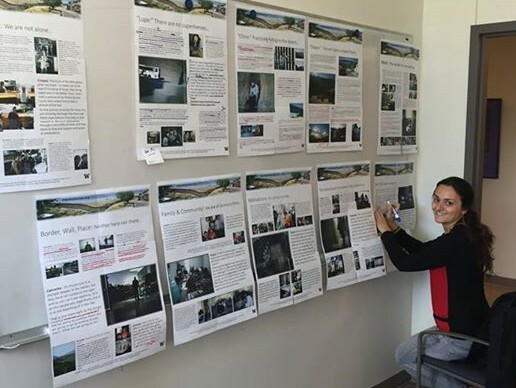 Fotohistorias: Participatory Photography with Hispanic Immigrants with: Ricardo Gómez, Bryce Newell, Verónica Guajardo, @ iSchool Research Conversation, University of Washington, Seattle, WA, 11 May 2015. Fotohistórias: vidas en la frontera, en EEUU y en el territorio. @ Luis Fernando Barón’s course Laboratorio Migrantes, Tecno-Medios y Cambio Social (Migrants, Technologies and Social Change), Master in Periodismo (Journalism), Universidad ICESI, Cali, Colombia, 5 May 2015. 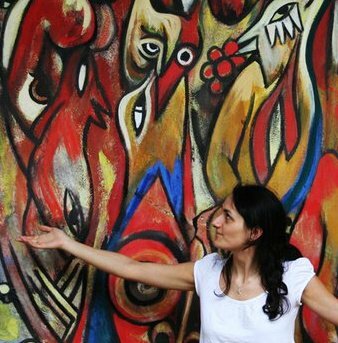 “Photo-elicitation” y Percepciones de los Centro Multimedia Comunitarios en Mozambique @ Luis Fernando Barón‘s Migración, movilización y TIC: Ciencia, tecnología y sociedad, Bachelor course, Universidad ICESI, Cali, Colombia, 30 April 2015. 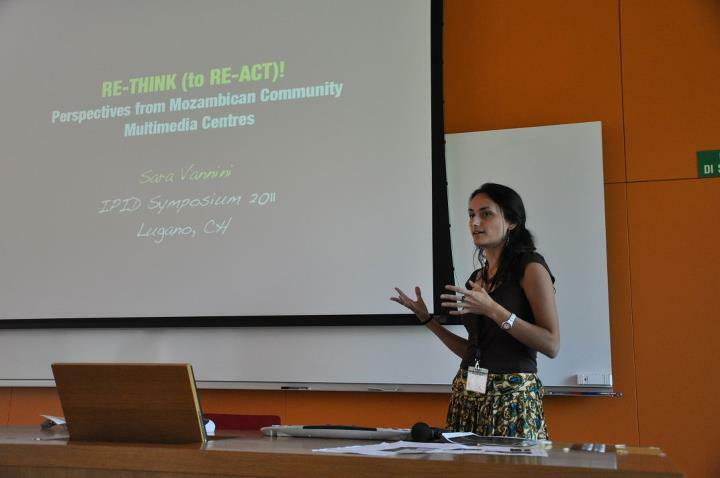 Perceptions of Community Multimedia Centres in Mozambique @ Maria Garrido‘s Policy and Ethics: Information in Social Context, course of the Master of Science in Information Management, Information School, University of Washington, Seattle, 2 March 2015. Public Access to ICTs and Social Representations @ Maria Garrido‘s Social Spaces and Technology Tools: Dynamics of Community Organization and Participation, course of the Graduate Communication Leadership Curriculum, Information School, University of Washington, Seattle, 21 January 2015. Introduction to ICT4D @ Prof. Lorenzo Cantoni’s New Media for Tourism Communication, course of the Master in International Tourism, Faculty of Communication Sciences, Università della Svizzera italiana (USi), Lugano, 16 October 2013. I motori di ricerca e la promozione online, Pubblico Acceso alle ICTs: Telecentri e Centri Multimedia Comunitari, Tecnologie Mobili per lo sviluppo. @ Doc. Isabella Rega‘s Tecnologie Digitali nelle Istituzioni Pubbliche e no Profit, course of the Bachelor in Comunicazione Pubblica, Faculty of Communication Sciences, Università della Svizzera italiana (USi), Lugano, September – December 2012. Introduction to ICT4D, the Digital Divide, Telecentres and CMC in Mozambique. @ Prof. Lorenzo Cantoni’s eGovernment, course of the Master in Public Management and Policy (PMP), Faculty of Communication Sciences, Università della Svizzera italiana (USi), Lugano, 25 October 2012. Photo-Elicitation: ottenere informazioni usando le foto. @ Doc. Luca Botturi‘s Research Atelier, course at the Dipartimento Formazione e Apprendimento (DFA), Scuola Universitaria Professionale della Svizzera italiana (SUPSI), Locarno, 12 October 2012.